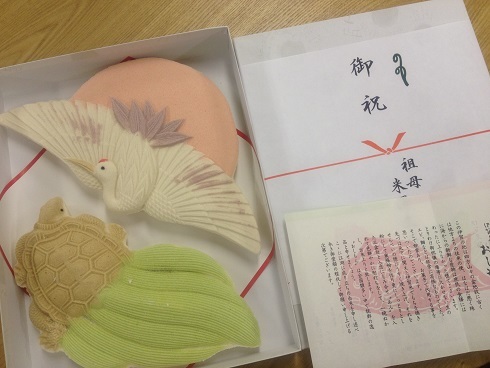 A grandmother of the bride who got married yesterday gave me the beautiful sweets shaped a crane and a turtle. It is called “OSHIMON”, a traditional sweets in IGA region. She ordered the sweets from the famous shop which has been in business over 100 years to celebrate her grandchild’s wedding. She must have been really looking forward to this happy day. Cranes and turtles have been believed as lucky animals. they will be together for life with only one partner. 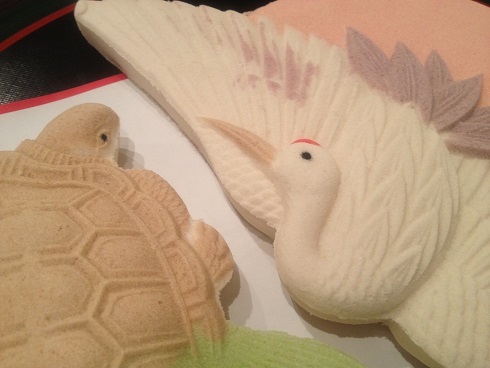 And both turtles and cranes are the symbols of longevity and good fortune. It is said “Cranes live for a thousand years and turtles live for ten thousand years”. I believe Mr. and Mrs. N will make a happy family for a life time like a crane couple as the grandmother hopes.